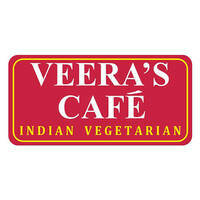 Veera's Cafe is an Indian vegetarian eatery that offers a variety of recipes passed down from before the 1960s. Their menu features an ocean of meals with bases like dosai, parotta and pulao apart from the classic chaats. Indian regional specials such as from Bombay and Andhra Pradesh are also available here.